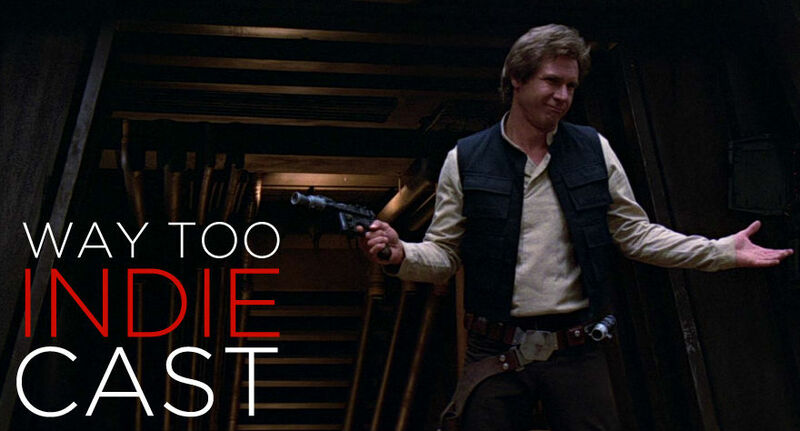 In part three of our series of Way Too Indiecast Star Wars Specials, Bernard, Dustin and CJ discuss the third entry in the original Star Wars trilogy, Return of the Jedi. The boys again dissect the movie section by section, starting with Luke, Leia and friends’ rescue of Han Solo from Jabba the Hutt to the final showdown between Luke, Darth Vader and Emperor Palpatine. CJ and Dustin have still yet to be swept up in the magic and mythology of Lucas’ space epic, but maybe the thrilling conclusion to Luke’s odyssey will finally sway them over to the light side. Plus, our heroes share their Star Wars: The Force Awakens theories and expectations in anticipation of today’s grand opening.